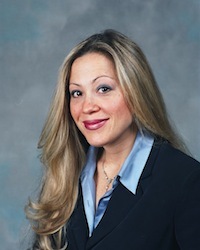 Monica P. Navarro is a Partner at the Firm. She has a national practice in health law and business litigation with a focus on fraud and abuse (Qui Tam), regulatory compliance, full-service physician and allied-health representation, supplier and payor representation, and the federal courts. Representative matters include FMF class action litigation ($24 million), Johnson & Johnson in re Topamax litigation ($89 million), and GE Healthcare in re Myoview litigation ($30 million). PROFESSOR OF LAW- Thomas M. Cooley Law School, Auburn Hills, Michigan, May 2010 to August 2014. Civil Procedure, Health Law. Michigan Super Lawyer, 2011 Law and Politics Magazine. Top 20 Women of the Year, Michigan Lawyers Weekly 2010 Women in the Law. Michigan Super Lawyer, 2010 Law and Politics Magazine. Top 50 Michigan Women Lawyers, 2010 Law and Politics Magazine. Michigan Super Lawyer, 2009 Law and Politics Magazine. Top 50 Michigan Women Lawyers, 2009 Law and Politics Magazine. Michigan Super Lawyer, 2008 Law and Politics Magazine. Top 50 Michigan Women Lawyers, 2008 Law and Politics Magazine. Michigan Super Lawyer, 2007 Law and Politics Magazine. Profiled by Detroit Free Press in honor of Hispanic Heritage Month (2007). University of Michigan Law School, J.T. Canales Distinguished Alumni Award (2007). Honoree, Crain’s Business Detroit 2006 “40 Under 40." Twice appointed to the Michigan Board of Psychology by Governor Granholm (2006/09). Named a Top 10 Qui Tam Lawyer in the Country in Corporate Crime Reporter.